Our good friends gave us two large boxes of oranges a few weeks ago! 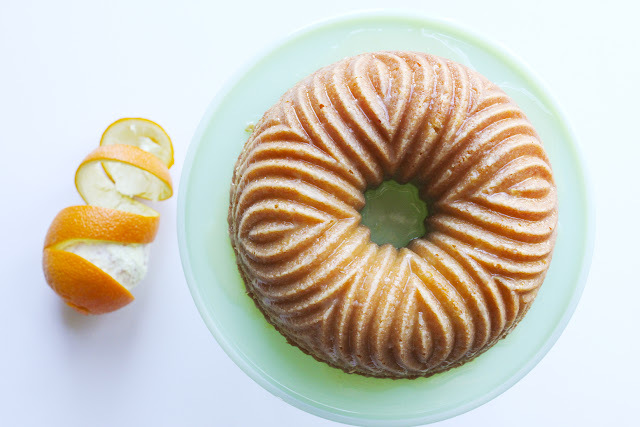 So I've been having fun experimenting with dessert recipes that have orange in them! 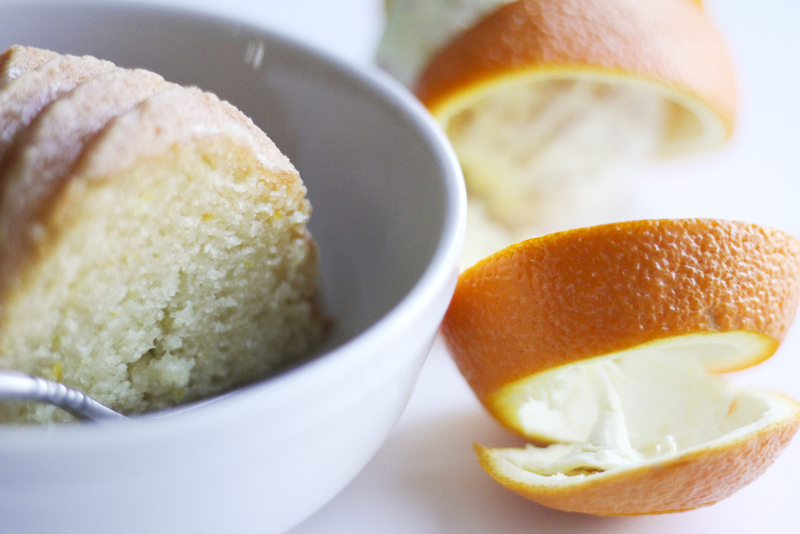 Oranges are not only one of my favorite fruits, but the scent of orange is equally appealing! One of my favorite perfumes has orange blossom in it! Anyhu, back to the recipe! I took the Fresh Lemon-Blueberry Yogurt Cake and switched it up for this Beauty! It worked beautifully! Not to mention the fact that my whole house had the scent of orange and vanilla flowing through it! LOVE! Preheat oven to 325 degrees. Grease and flour a 9-10 inch bundt pan. Sift together the flour, baking soda and salt. Mix in the orange zest and set aside. With an electric or stand mixer, cream your butter and sugar until light and fluffy. Beat in the eggs, one at a time. Add your vanilla and 1 tablespoon of the orange juice and mix well. Alternate beating in the flour mixture with the yogurt a little at a time, beginning and ending with the flour mixture. 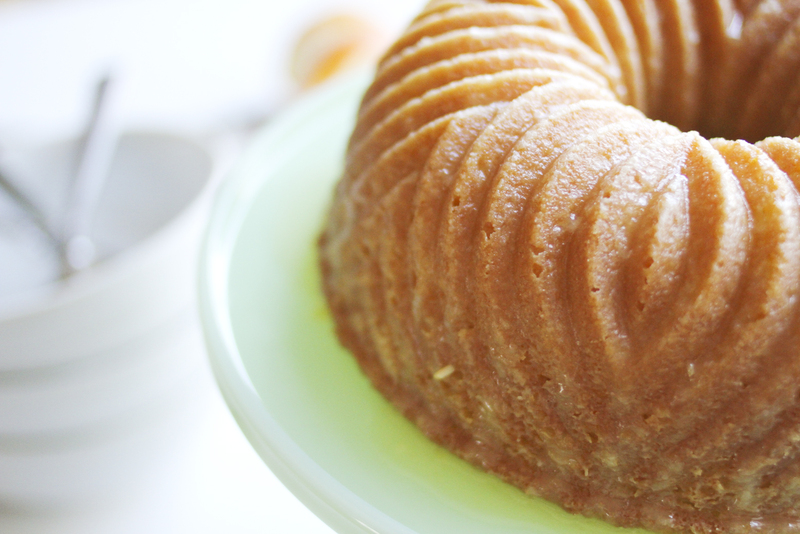 Pour the batter into the prepared bundt pan and into the oven for 60 minutes. It should be golden. Let the cake cool in the pan for 20 minutes and then turn out on a cooling rack. Whisk the powdered sugar, remaining 2 tablespoons orange juice and milk together until smooth. Pour the glaze over the warm cake. Cover until ready to serve. this looks so good! and i love the bundt pan that you used. 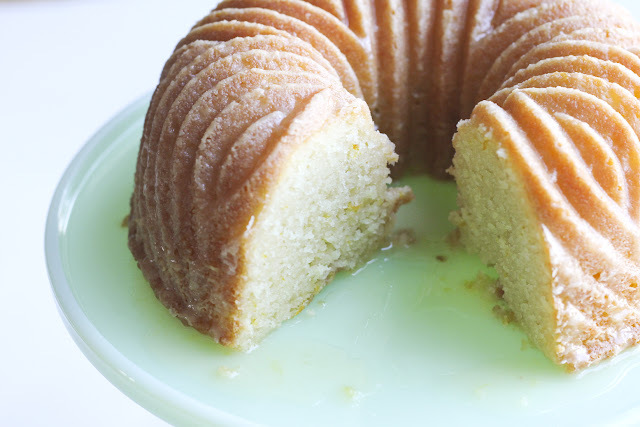 Killer bundt pan! Love it. This looks too pretty to eat. Quick - someone invite me to a party so I can make this!! Oh my deliciousness! Beautiful, I want some. Absolutely delicious! I used shortening because I (surprisingly) ran out of butter and it was still soooooo delicious. I'm trying it gluten-free today, hopefully that works out. Absolutely delicious and moist cake.